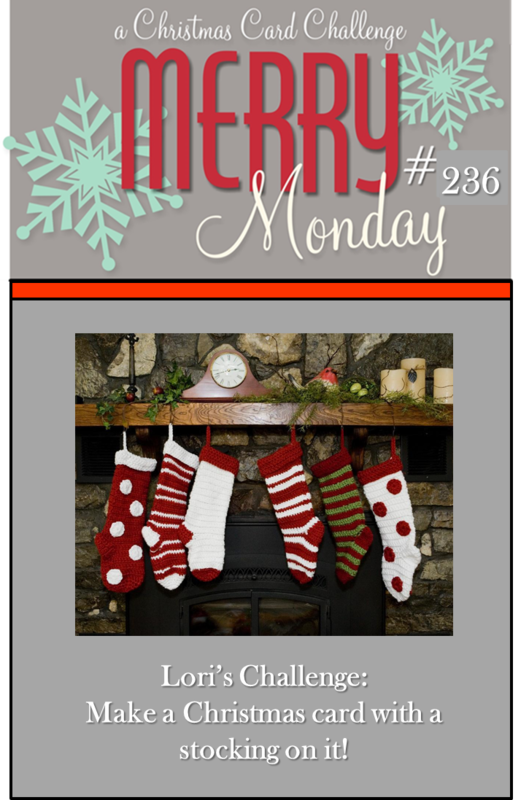 Good Morning, I am your hostess this week for this week's Merry Monday Christmas Card Challenge. 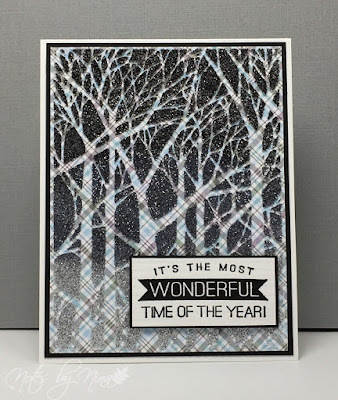 My challenge is to Make a Christmas card with shimmer or sparkle on it. I pulled out a stencil and some texture paste for my card. Starting from the top I added black, steel blue and then silver glitter to a background of plaid designer paper. I heat embossed the sentiment then popped it up with foam tape. I added a thin layer of black card stock for a border. 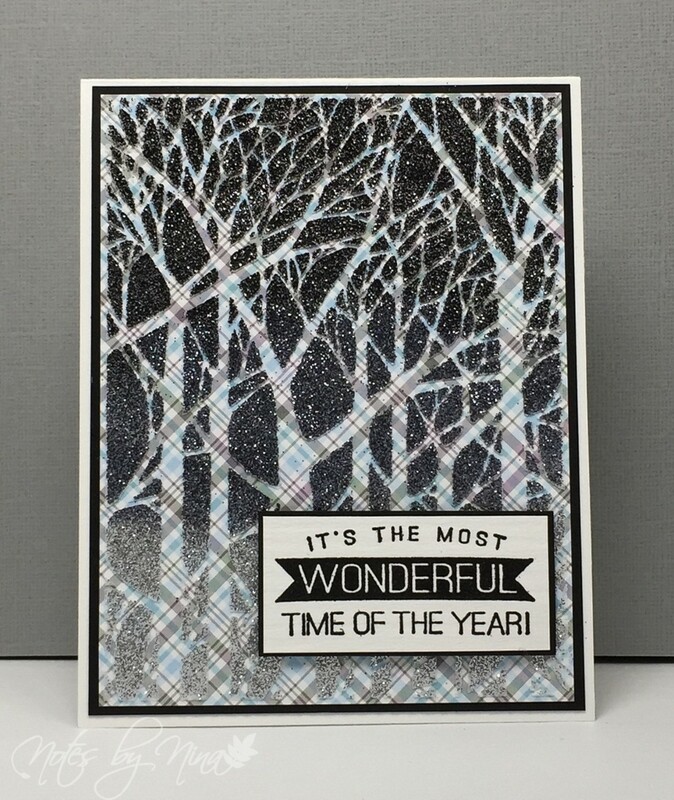 Supplies: White and black cardstock, Designer Paper - Lawn Fawn, Penny Black - Hello Winter, Dreamweaver Stencil, glitter. 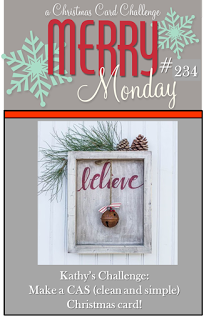 Be sure to take a peak at all the fabulous inspiration on the Merry Monday Challenge blog. 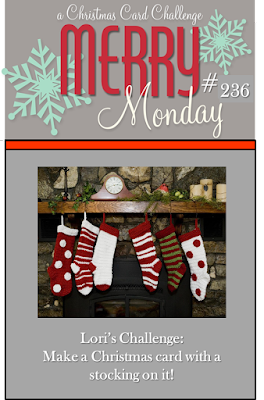 Good Morning, we have a new Merry Monday challenge for you this morning. Lori is our hostess this week and her challenge is to Make a Christmas card with a stocking on it. I used simple layers and a Little B sticker for my card. I pulled out my stitched rectangles for the panels, then added the sentiment. I applied the stocking sticker and added some gold twine. I finished with some half pearls. Supplies: White cardstock, Designer Paper - gold and kraft, Verve - Joyous Noel, Little B - Stocking, twine. Good Morning, I have a quick post this morning. I needed a sympathy card for a lost pet and wanted to share what I have made. 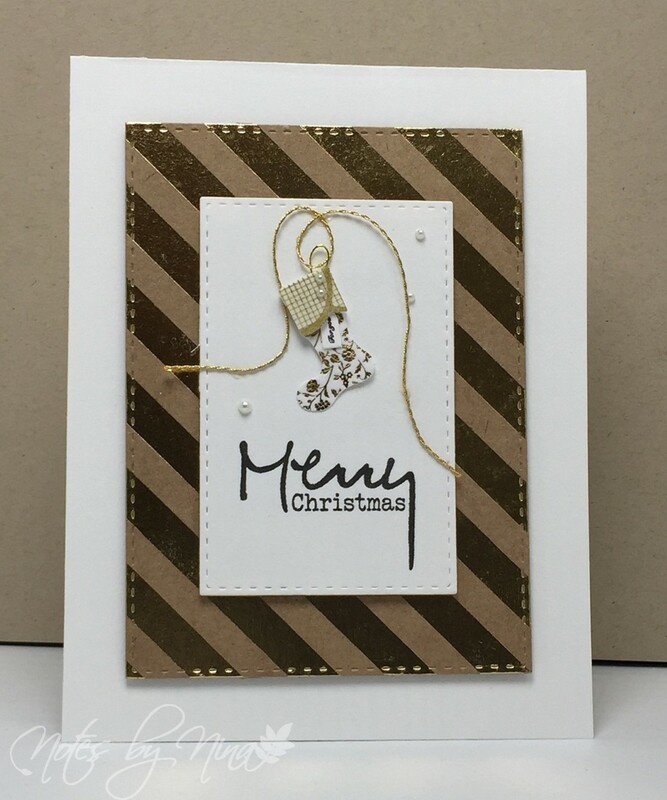 This paper was hidden amount my stash and perfect for this card, I created simple layers then added some twine. The sentiment is heat embossed then popped up with foam tape. I finished by added a small stamped paw that is layered. 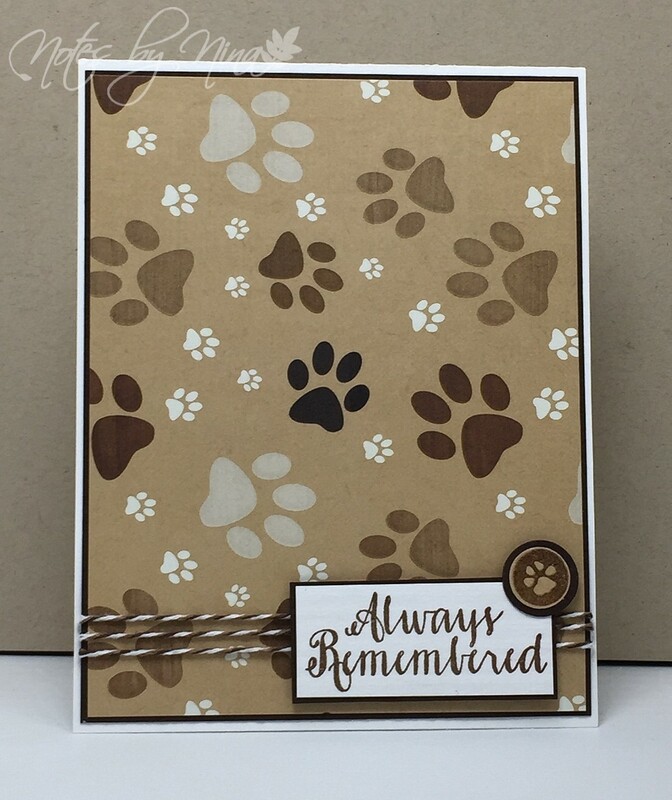 Supplies: White and brown cardstock, Designer Paper - KaiserCraft, Simon Says Stamps - Paw prints on our hearts, twine. Good Afternoon, a quick post for Valentine's Day. I was lucky enough to take the day off today so my husband and I spent the day together doing random things. I created this CAS card. I used a gray background then added a layer of DP. 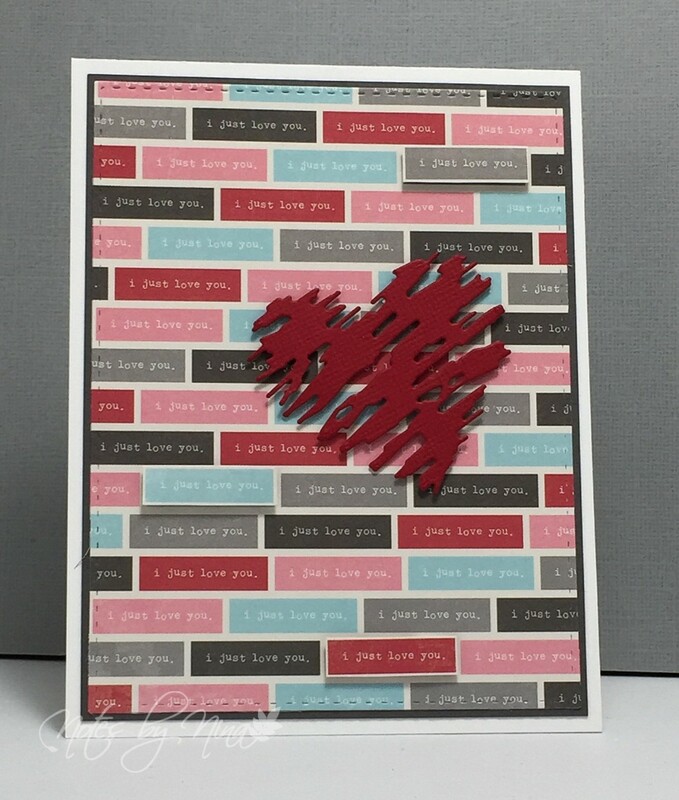 I used left overs of the designer paper and cut out little sentiments and popped them up with foam tape. I finished with a die cut heart. 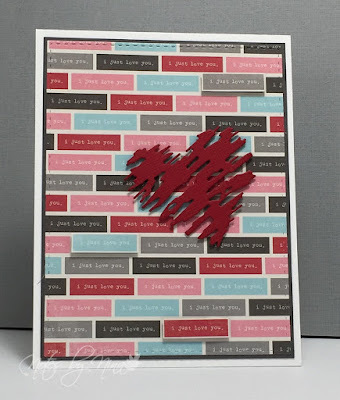 Supplies: White and Gray cardstock, Designer Paper - Echo Park, Simon Say Stamp - Scribble Heart. 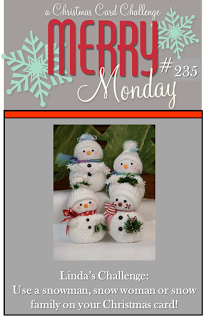 Good Morning, we have a new Merry Monday challenge for you this morning. Linda is our hostess this week and her challenge is to Use a snowman, snowwoman or snow family on your Christmas card. 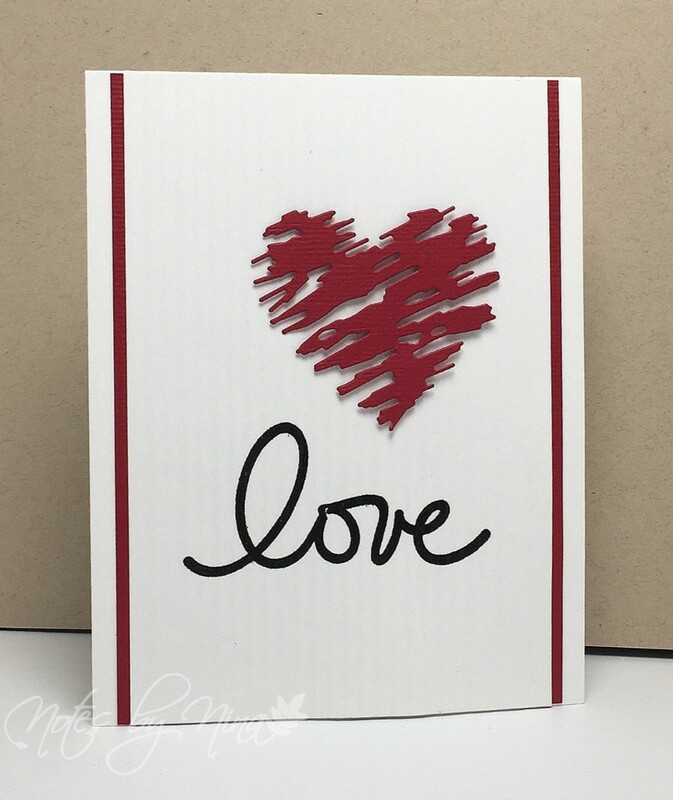 I created a simple card using some papers I received in a kit awhile back. 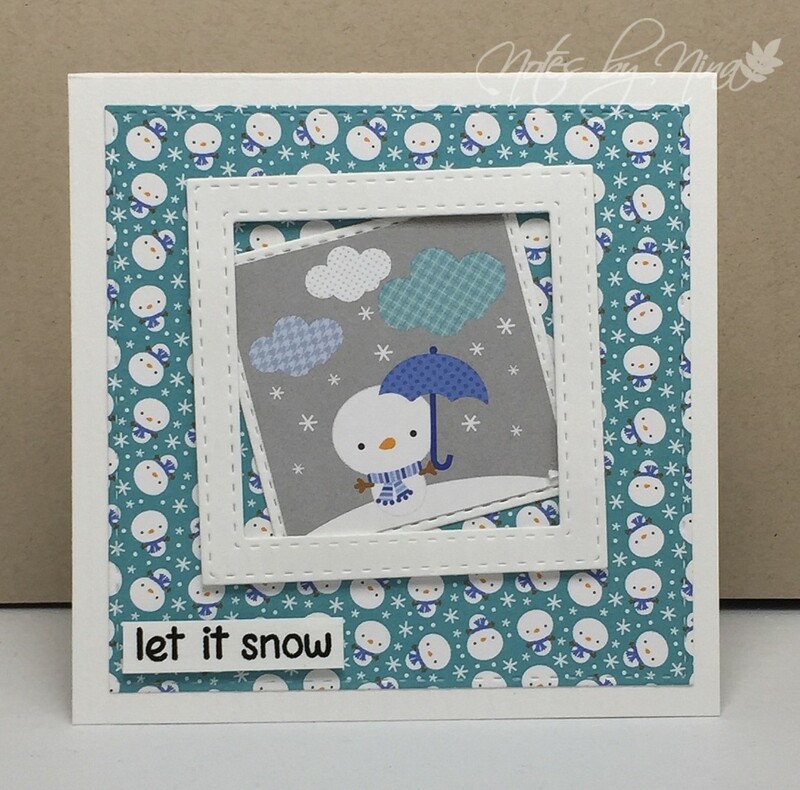 I cut out the little snowman panel then added a frame that I created using two sized of die cuts and then popped up with foam tape. I heat embossed the sentiment then popped it up with foam tape as well. 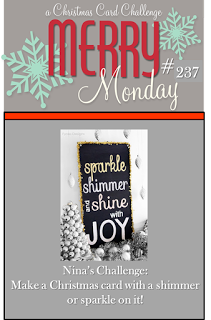 I hope you are inspired to play along with Merry Monday this week. 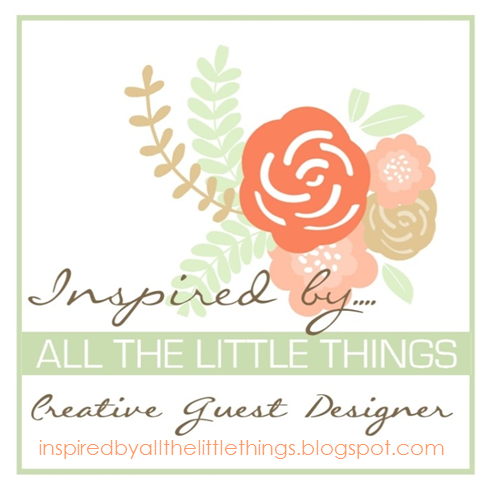 Be sure to visit the blog to see what the Design Team had created for inspiration. 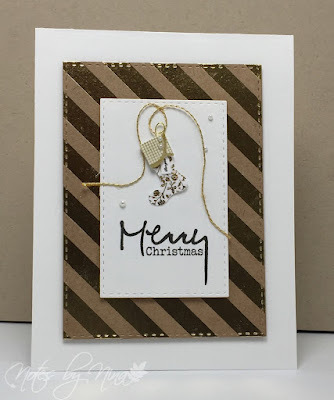 Happy Monday, we are back with a new Merry Monday Christmas Card Challenge. 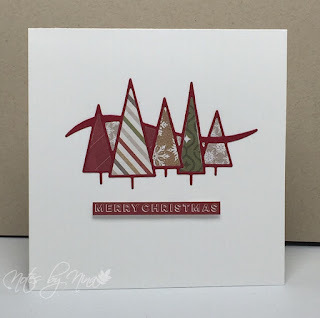 This week Kathy is our hostess and her challenge: Make a CAS (clean and simple) Christmas Card. 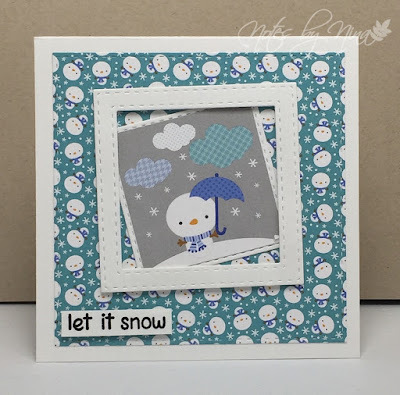 I love the idea of this challenge, things have been pretty busy lately and I have been trying to get the hang of making CAS cards for those times when I want to craft but don't have a lot of time. I made a really simple card. 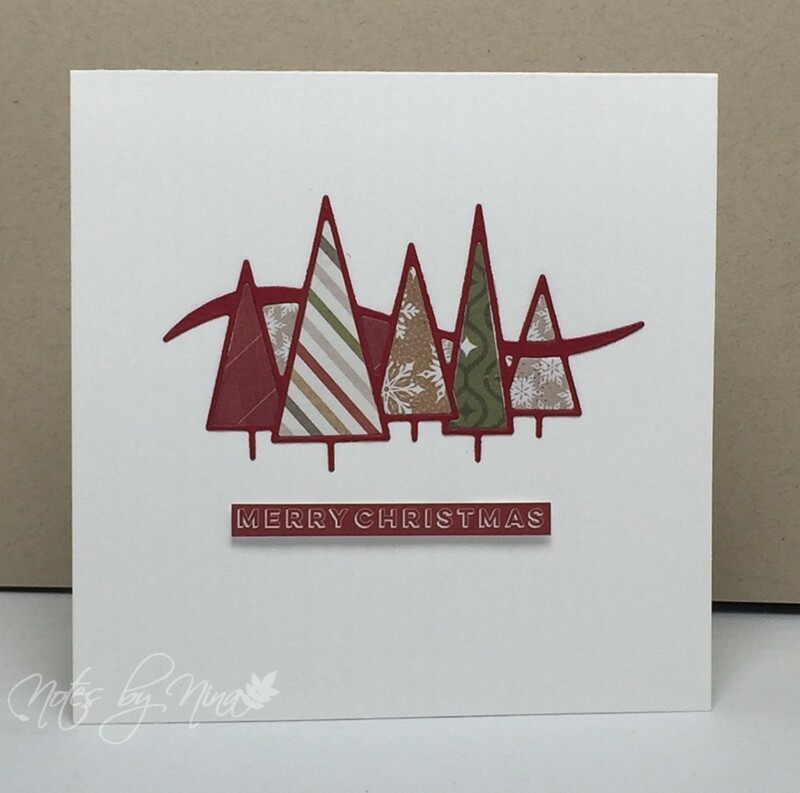 I used a die cut for the trees and pieced it back together with DP paper scraps. I added a popped up sentiment from the same paper pack. Supplies: White and red card stock, Designer Paper - Pink Paislee, Simon Says - Winter trees. Be sure to play along with us for the Merry Monday challenge. I had all sorts of wonderful ideas flashing through my head when I say this image. In the end I went with a CAS card. I decided to use some scraps I had on the corner of my table and I have this "love" stamp calling to me from my basket of new items to use. 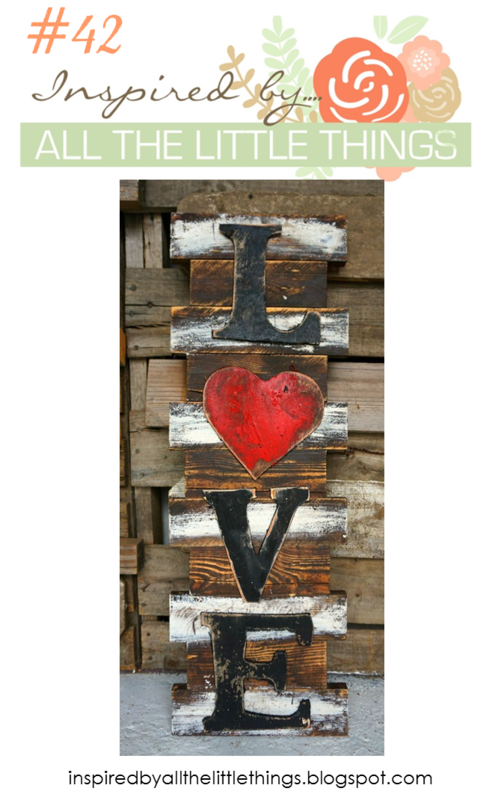 I heat embossed the sentiment and popped up the heart with foam tape. I finished by mounting my top panel to some red card stock to add a little more colour. Supplies: White and red card stock, Simon Say stamps - die cuts. Thank you Lesley and team for having me as a Guest this week. 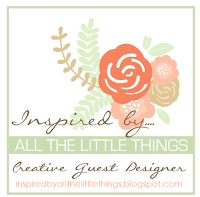 I hope you will be inspired to come play along with Inspired by All the Little Things #42.